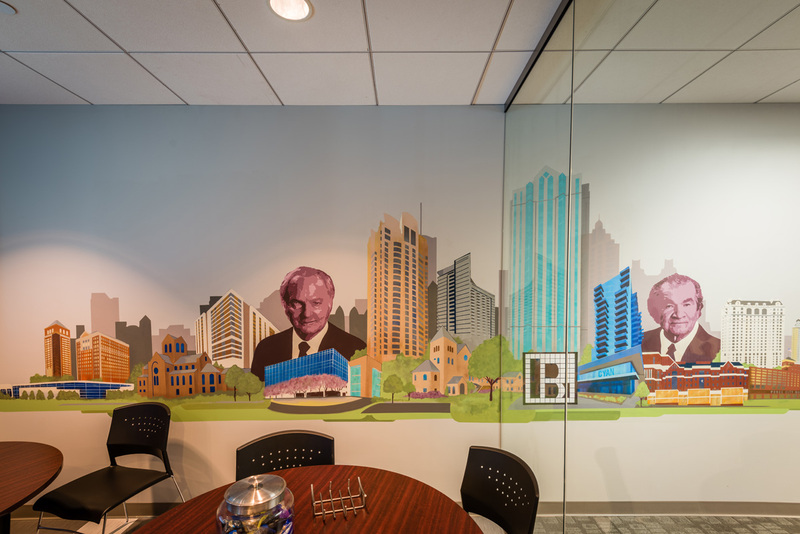 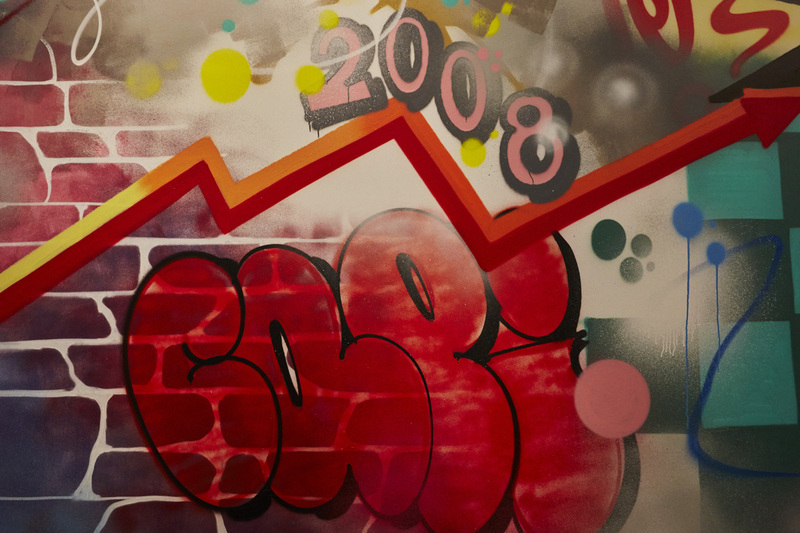 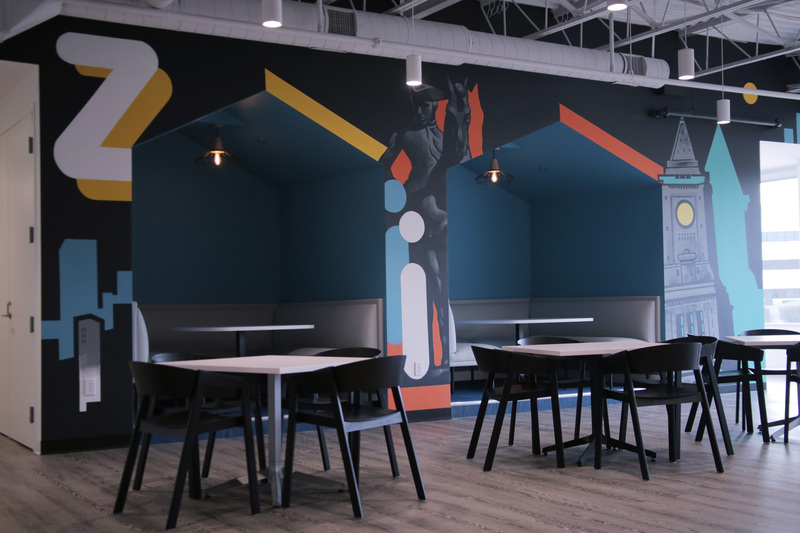 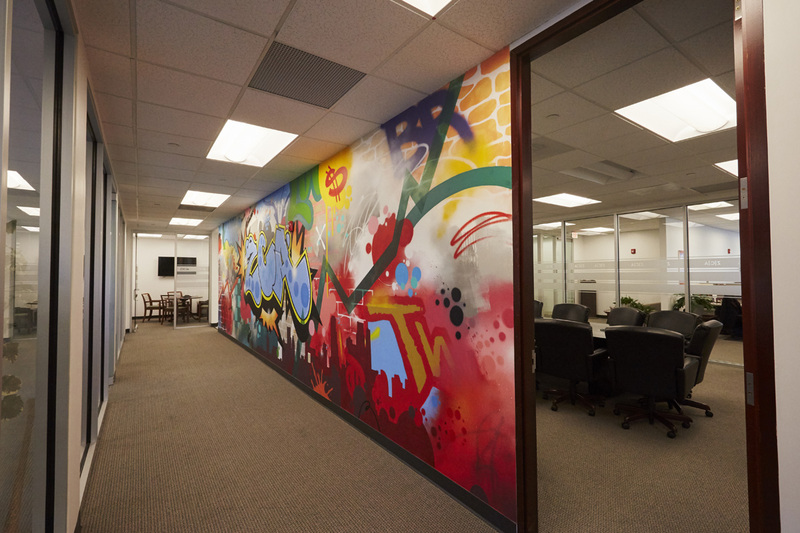 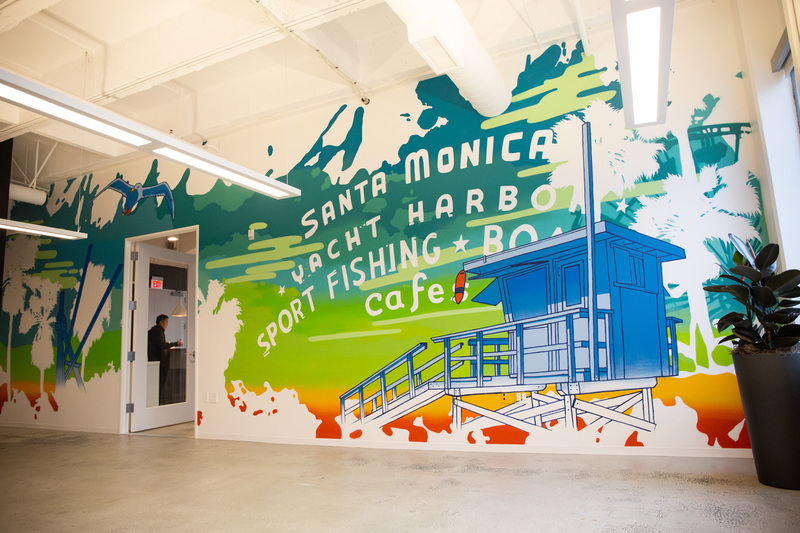 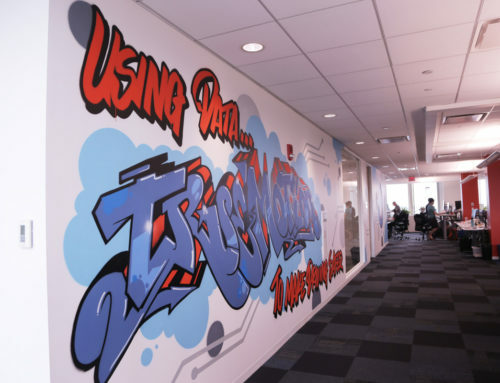 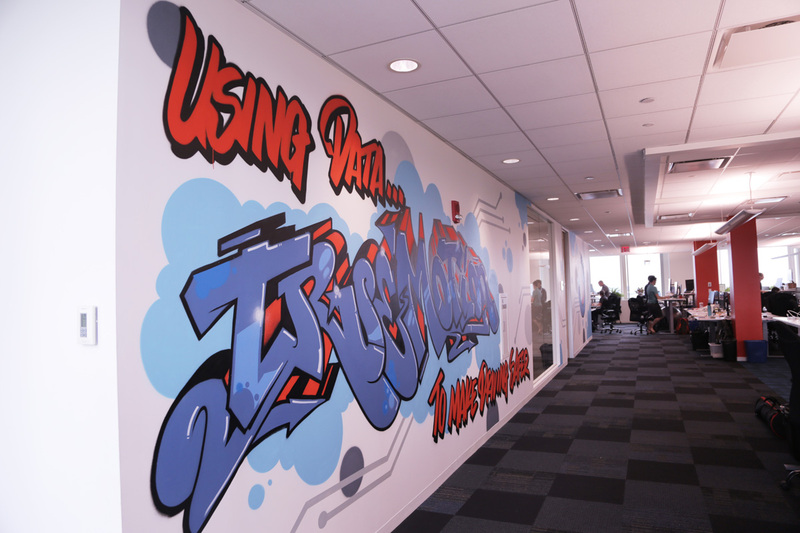 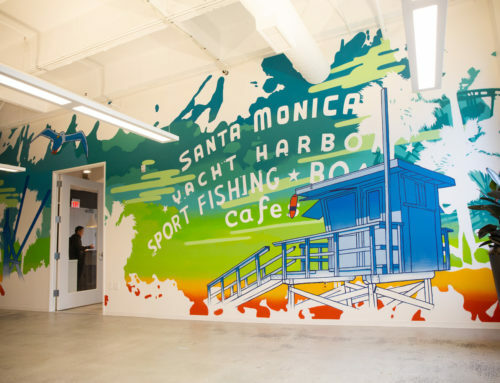 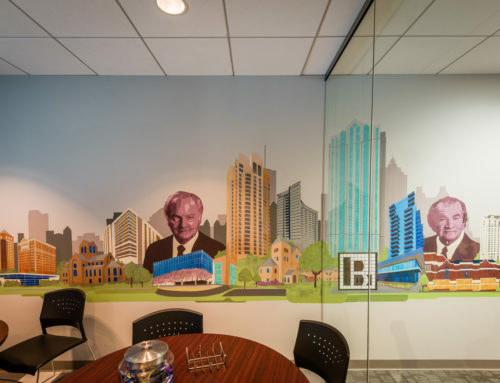 Zeke Capital, a company of investment advisors, asked us to create a bright graffiti mural. 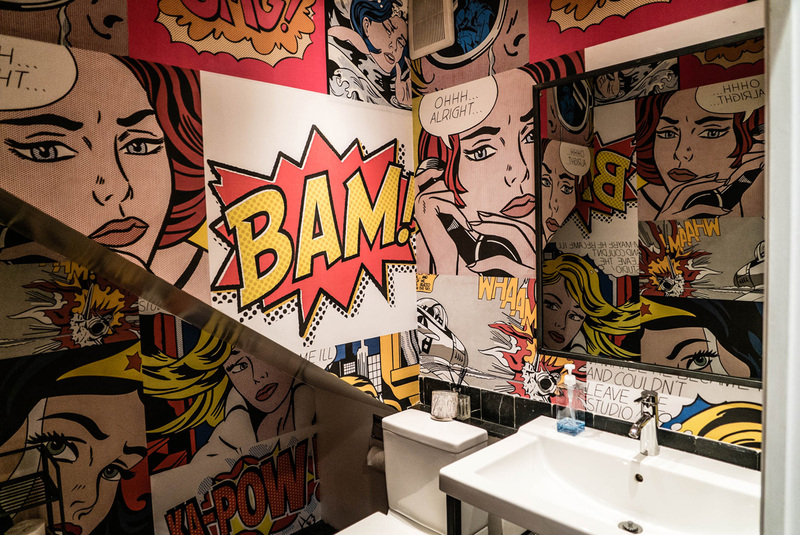 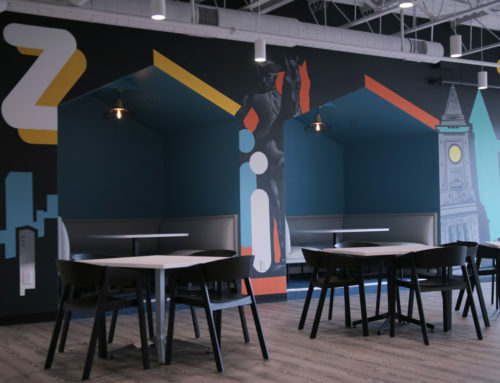 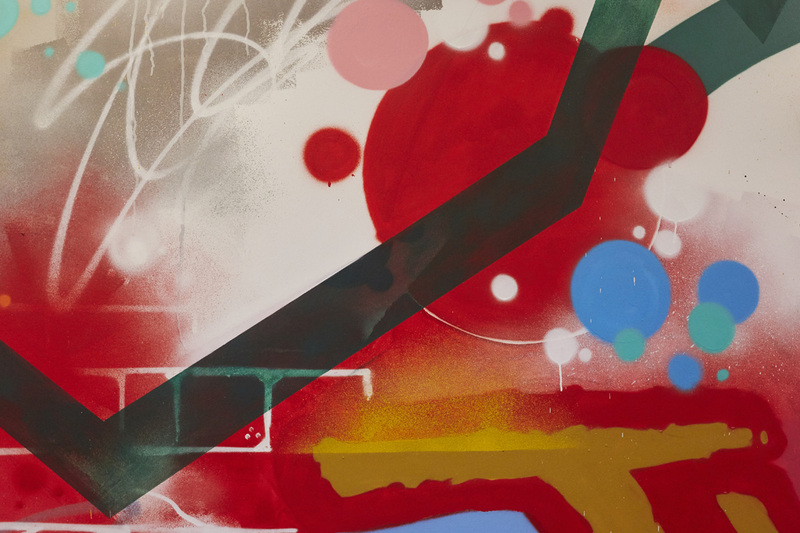 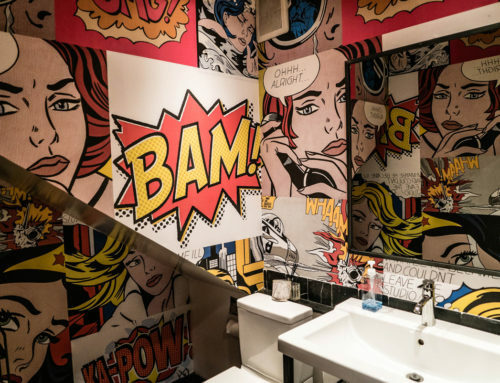 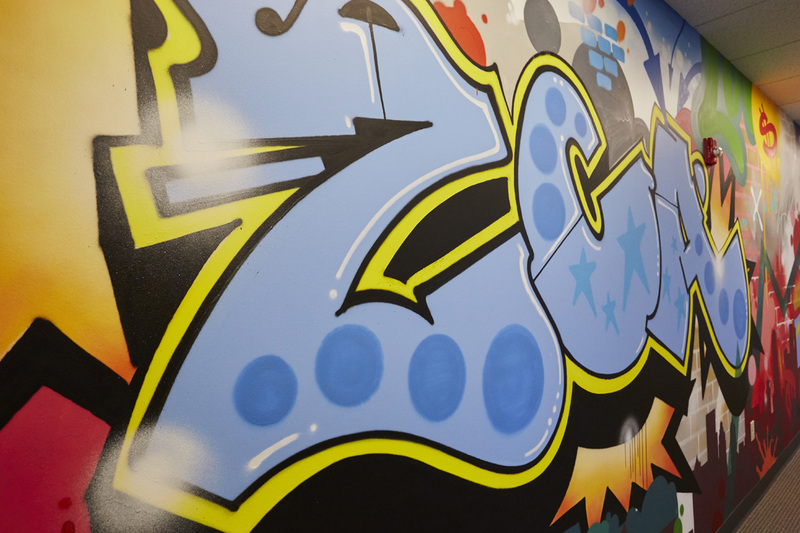 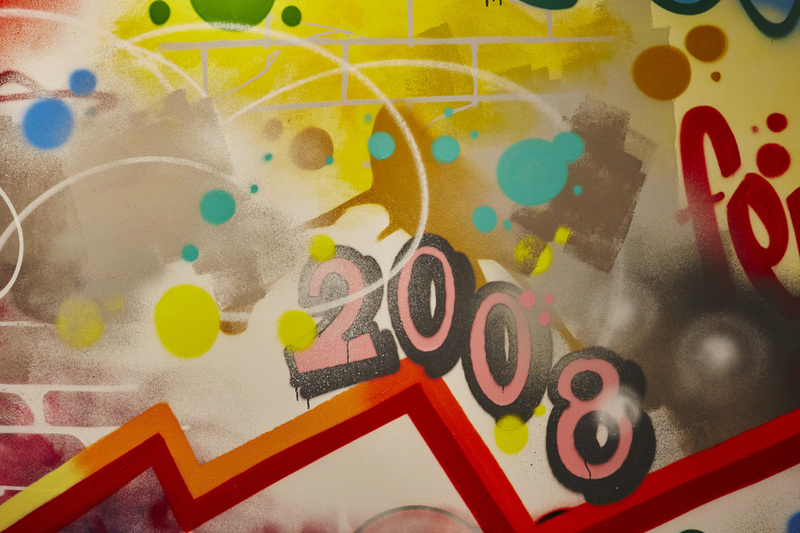 After creative back and forth, we narrowed the aim of this piece: to make their central hallway look real-life edgy – a graffiti street look, unexpected for a financial services business. 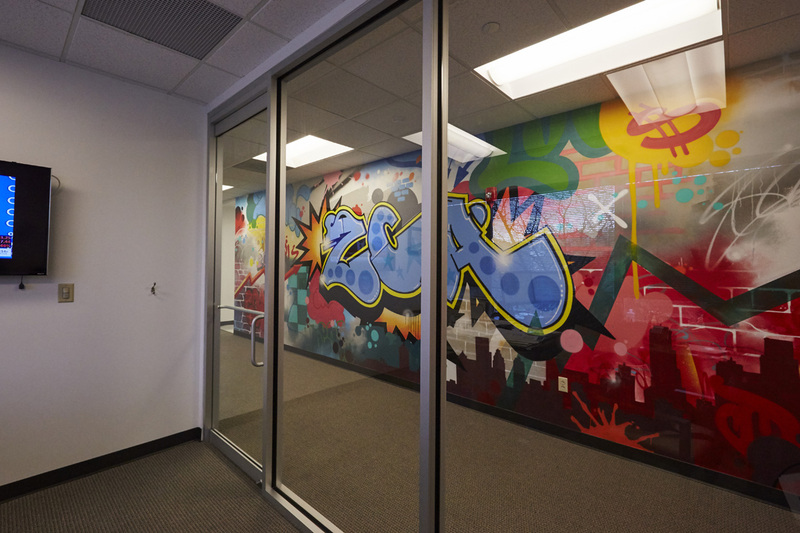 The wall, now complete with bright colors, and a variety of textured, layered spray-paint techniques like tags and throw-ups, screams against the surrounding white environment at their office in Berwyn, PA. Hidden references to the company’s roots and the stock market were used, but intentionally illegible and subtle, with “ZCA” graffiti letters as the focal point. 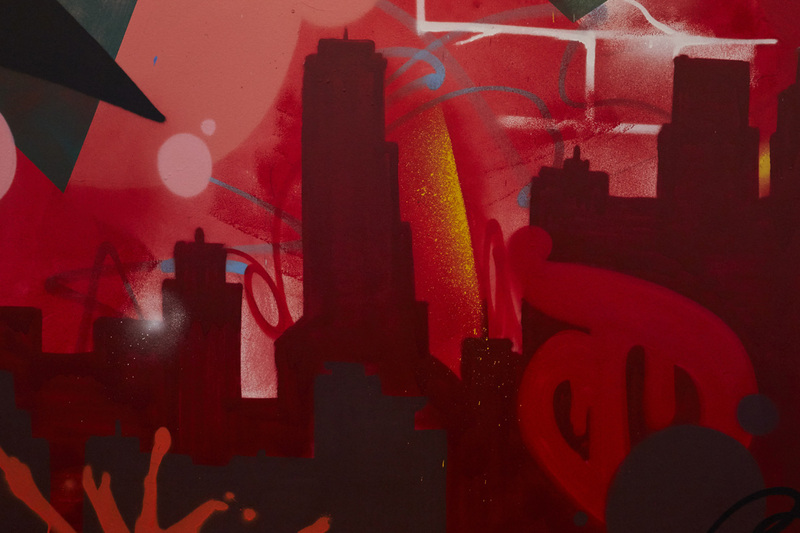 Zeke sincerely loved the outcome!